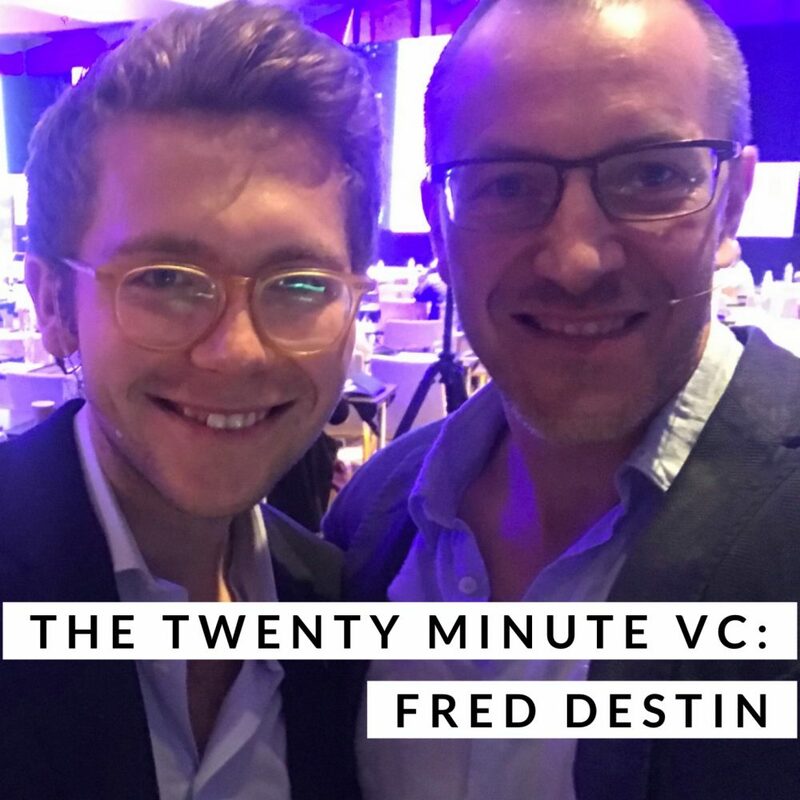 Fred Destin is a Founding Partner @ Stride.VC, one of Europe’s newest seed funds with a portfolio including the likes of Cazoo and Forward Health. Over his 17 year career in venture, Fred has established himself as one of Europe’s leading VCs with the exit value of 3 of his portfolio companies alone last year totalling more than $4.5Bn with PillPack’s $1Bn sale to Amazon, Zoopla to Silverlake for $3Bn and Integral Ad Science to Vista for $850m. Fred has also led investments as a General Partner @ Accel in Deliveroo, the world leader of food on demand and Carwow, the number 1 for new car sales in the UK. 2.) Why does Fred think many today misunderstand “risk” in venture? How does that apply across the portfolio? Does Fred agree with Brian Singerman, “venture is a game of upside maximisation”? What risks does Fred define as acceptable vs non-acceptable risks? How does Fred really look to strength test the quality and depth of a founder pre-investment? What are the benefits of going through conflict early? 3.) How does Fred think about price sensitivity? What are the core questions a VC can ask when considering the pricing of an opportunity? How does Fred think about reserve allocation? How does Fred analogize this to the best traders? To what extent does TAM play a dominant role in Fred’s evaluation? What does Fred mean when he says “we have to remember, we are the ones that get picked also”?